These memories, I might add, are not my own, although the long winter days can make you feel several hundred years old. The English Civil War erupted in the late summer of 1642, following two years of protracted negotiations and disagreements between King Charles I and Parliament. London didn’t see much fighting during the conflict, and remained firmly in the hands of Parliamentary forces throughout the war. London didn’t see much fighting that is, except for two critically important battles fought in West London at the very beginning of the war. Had these battles proved decisive for the King, London would have been captured and, without the huge support of London’s population, Parliament might not have triumphed over Charles I. The simple truth was, without London’s wealth and manufacturing, the Royalists couldn’t hope to win the war…not that anyone realised it at the time. 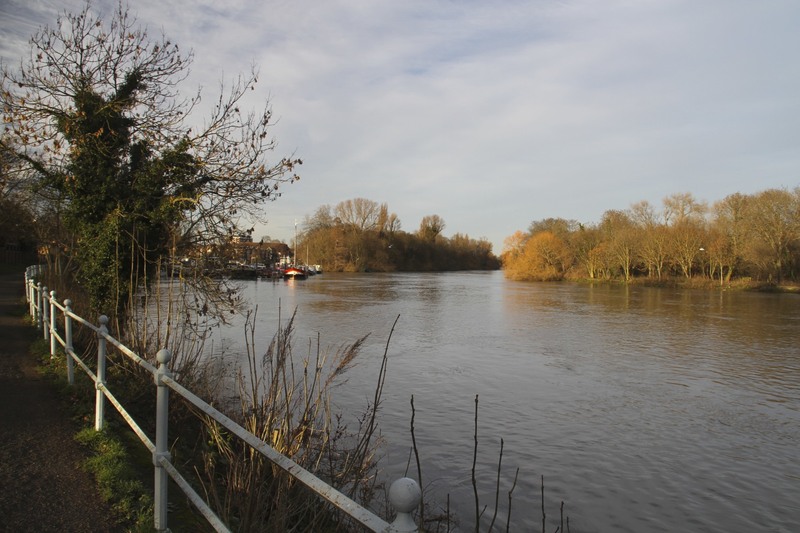 It is difficult to imagine today as you walk down the tranquil River Thames from Kew to Richmond, but there was vicious fighting here in November 1642. 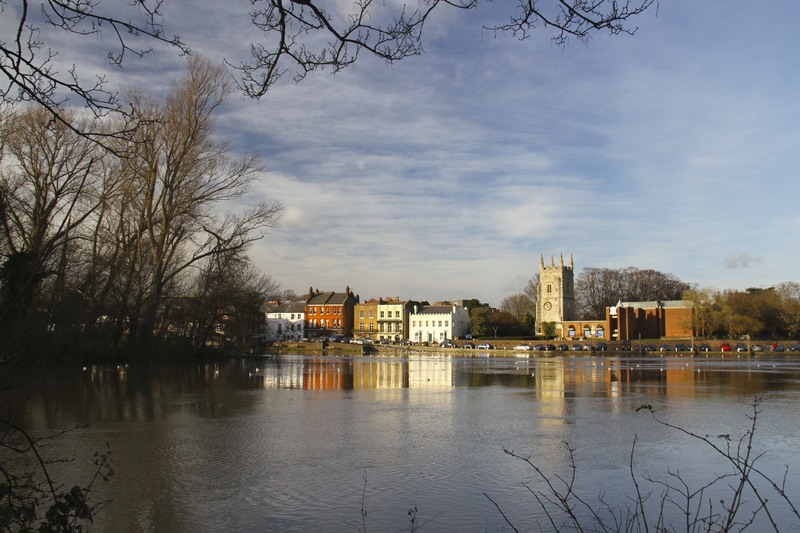 Parliamentary gunboats sailed along the river and bombarded Royalist forces massing at the stronghold of Syon House, which was damaged by artillery fire. 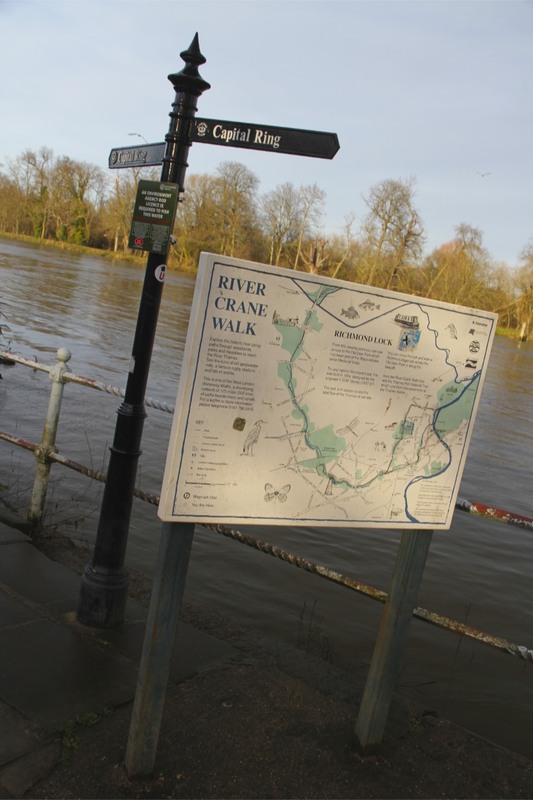 A short distance from where I was walking on the Thames, the main battle was fought at Brentford (literally a crossing over the River Brent), an important entry point into London. 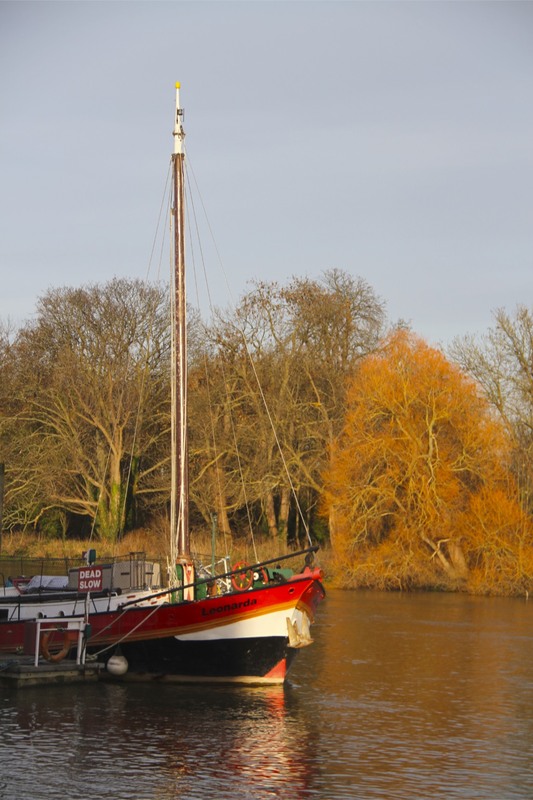 I was heading to Richmond Locks, where I planned to cross the Thames and loop back to Kew on the north bank of the river. 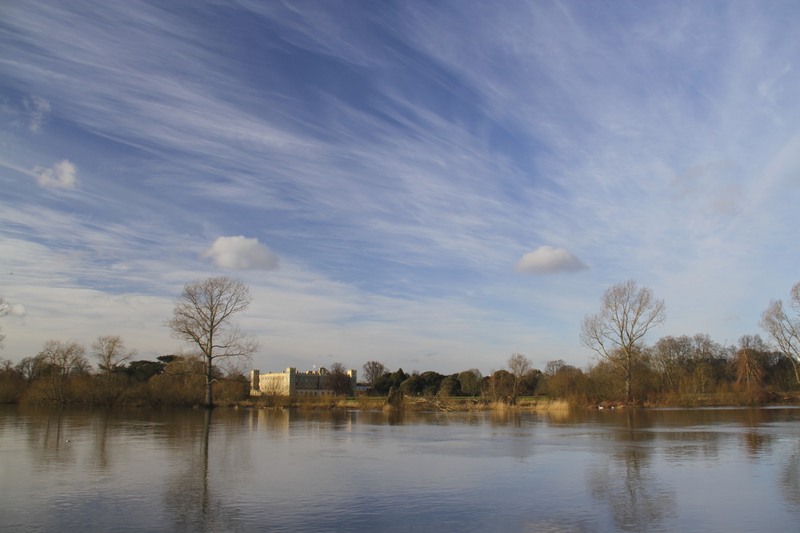 A route which would take me through the grounds of Syon House and past the site of the Battle of Brentford. First though, I hoped to be able to get a sight of the Kew Observatory. 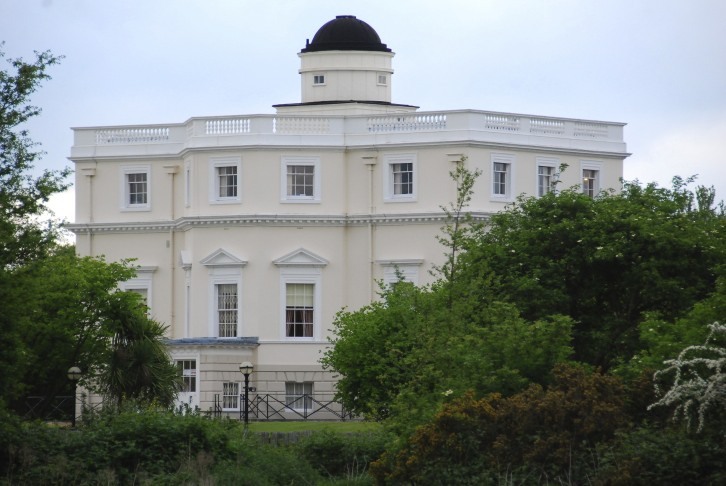 Also known as the King’s Observatory, it was completed in 1769 at the request of King George III so he could witness the transit of Venus across the sun. At the time, this area was still considered countryside, and light pollution wasn’t the problem it is today. Crossing the river I was soon on the north bank heading east and passing through the grounds of Syon House. Closed for the winter, I had to make do with the view from outside the fence, and, as time was getting on, I pressed on to Isleworth. 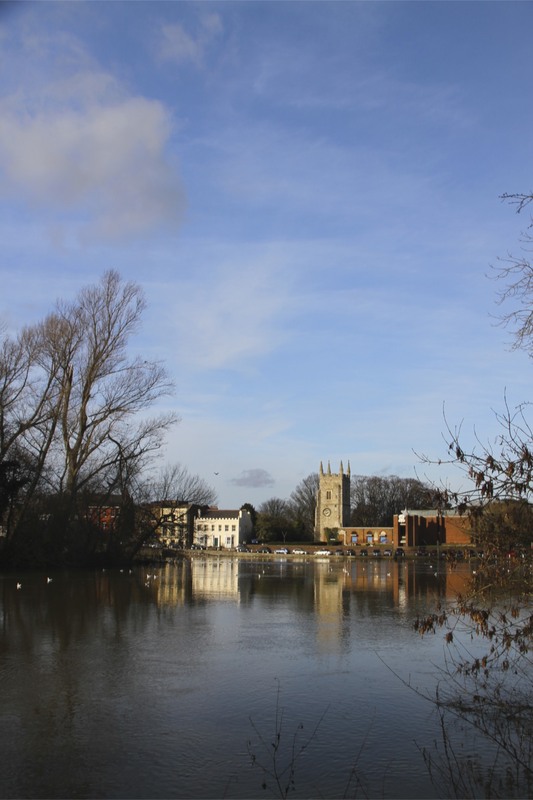 On the first half of my walk the lovely riverside location of the 14th Century All Saints Church in Isleworth had been illuminated by the sun. I now walked down Church Street, past some lovely Georgian houses and The London Apprentice pub, to the church itself. 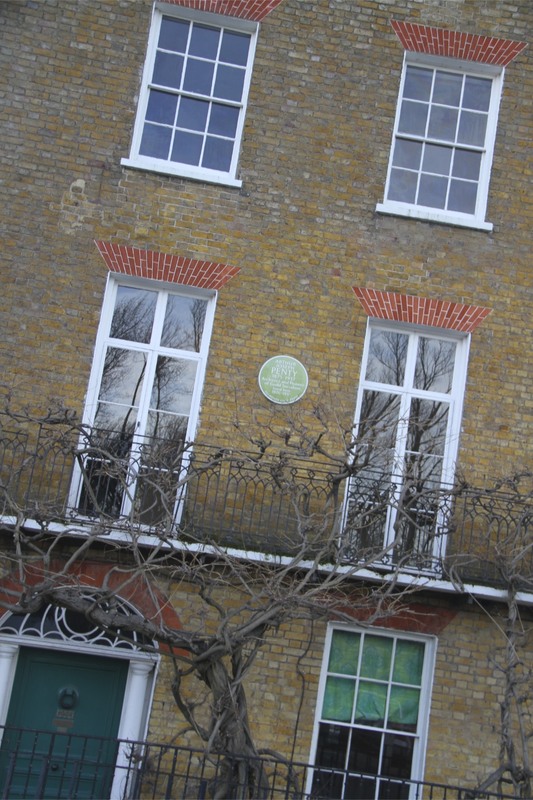 The row of houses opposite The London Apprentice were once home to Arthur Penty (1875–1937), an architect and writer on guild socialism and distributism. Much more exciting though, it was also the home of the actor, William Hartnell, best known as the first Doctor Who from 1963–1966. He lived opposite The London Apprentice from the 1920s. All Saints is a bit of a disappointment. 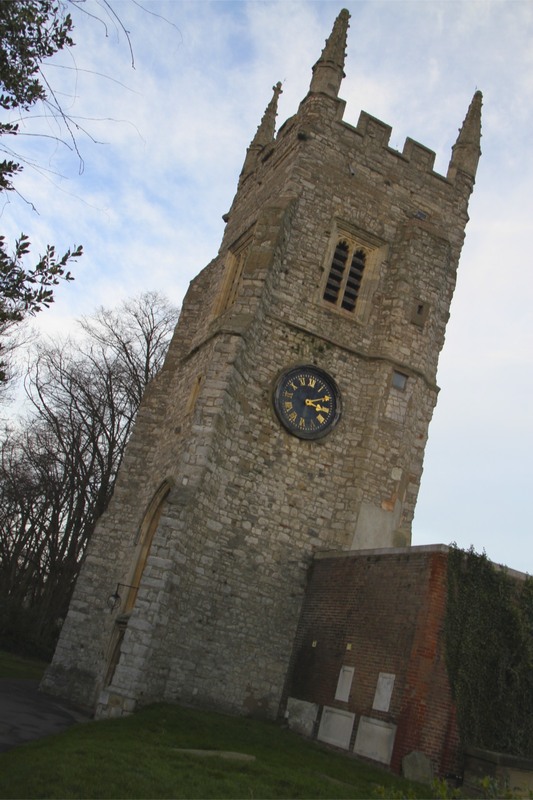 The church was gutted by fire in May 1943 and only the tower remains from the original. You may be thinking “May 1943? Did the Luftwaffe bomb the church?”, but the fire was the result of arson by two local schoolboys. Their crime spree saw another nearby church burnt down before they were caught. The replacement building is the product of 1960s Utopian architectural thinking, and is incredibly ugly. The sun was going down, so I pressed on through Syon Park, finally arriving at the site of the Battle of Brentford (1642). 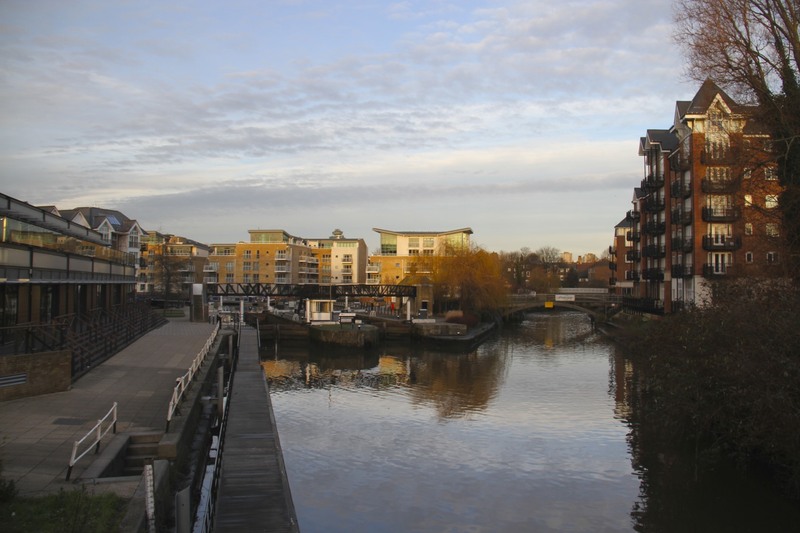 Brentford was fortified with two regiments of Parliamentary soldiers, and was attacked by Royalist cavalry and Dragoons. As you walk down a busy road, passing through some fairly deprived areas, towards the site of the battle, its hard to conjure an image of charging cavalry, musket shot and thundering canon. Thundering trucks, yes, but this nondescript place offers up few hints of its history. 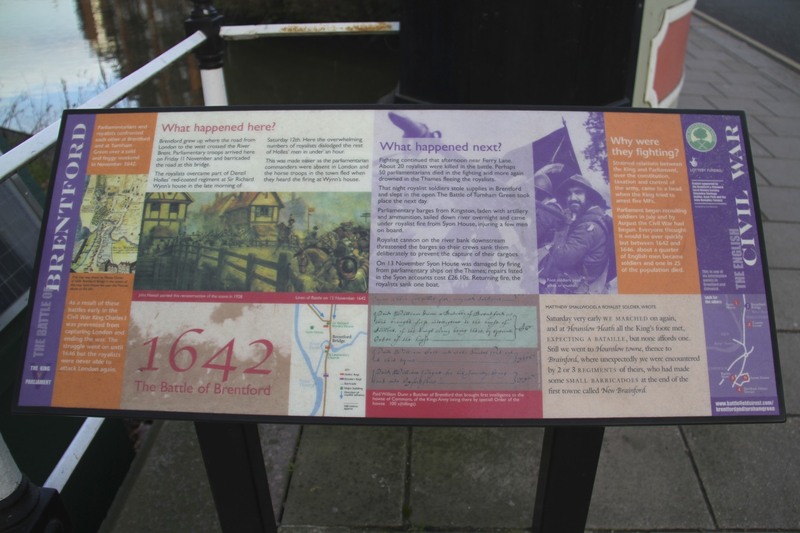 Although the Battle of Brentford was won by the Royalists, led by Prince Rupert, it wasn’t decisive, and the following day the two main armies clashed at Turnham Green. 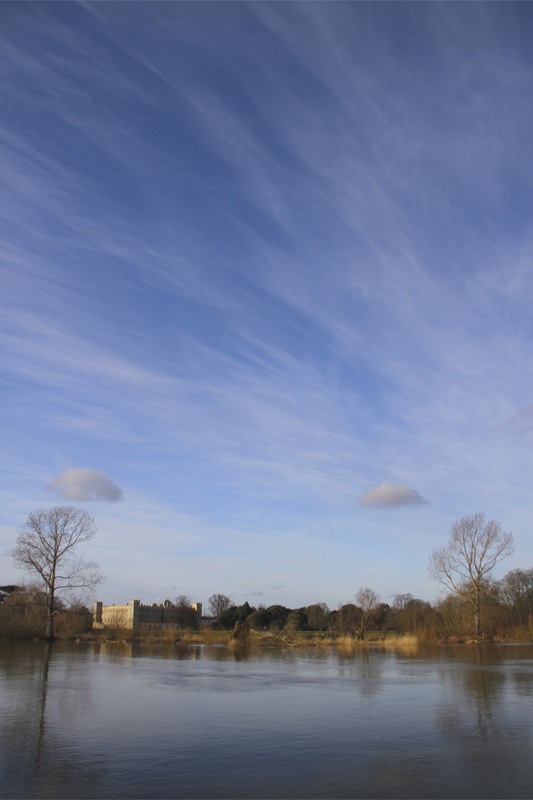 Again the battle was inconclusive, but Charles I decided to retreat to Oxford and spent the winter there. This was a disastrous decision for his hopes of winning the war. He would never come close to capturing London again, and his failure at Brentford and Turnham Green over the weekend of 12 and 13 November, 1642, would result in the loss of his kingdom and his head. 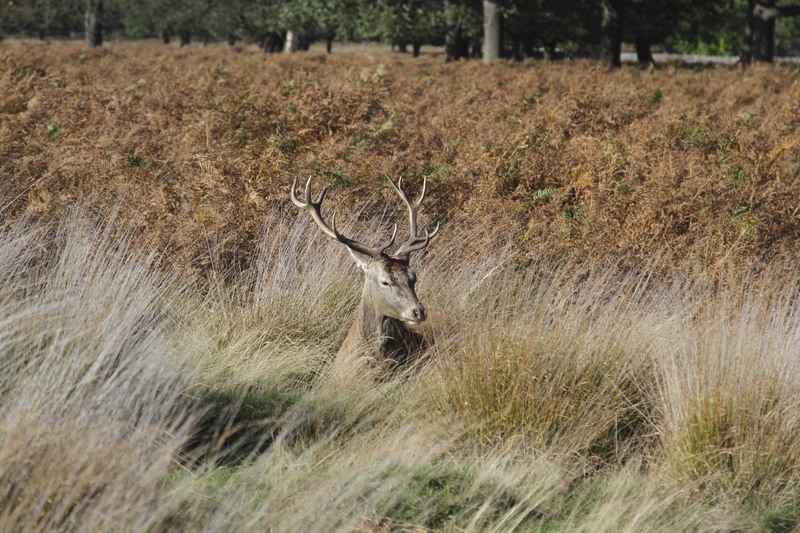 A few weeks back, I found myself in Richmond Park, one of London’s most beautiful parks, and a ‘green lung’ in West London – you need a lot of trees to absorb the CO2 all the planes dump on London as they land at Heathrow. 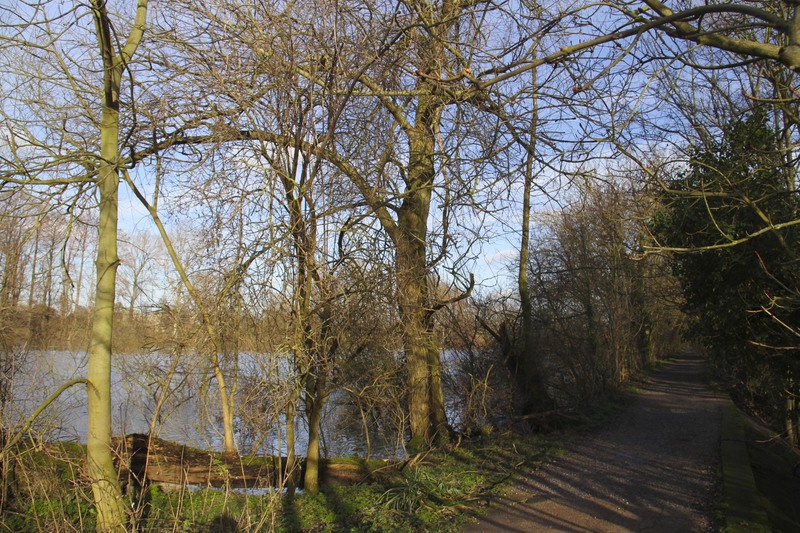 The park is huge by London standards, covering an area of approximately 2500 acres, making it the second largest green space in the city. It’s a glorious place with a long history, and royal links going back to Edward I’s reign (1272 – 1307). It took its current shape in 1637 under the unfortunate Charles I, who twelve years later would lose his head to the English Revolution. 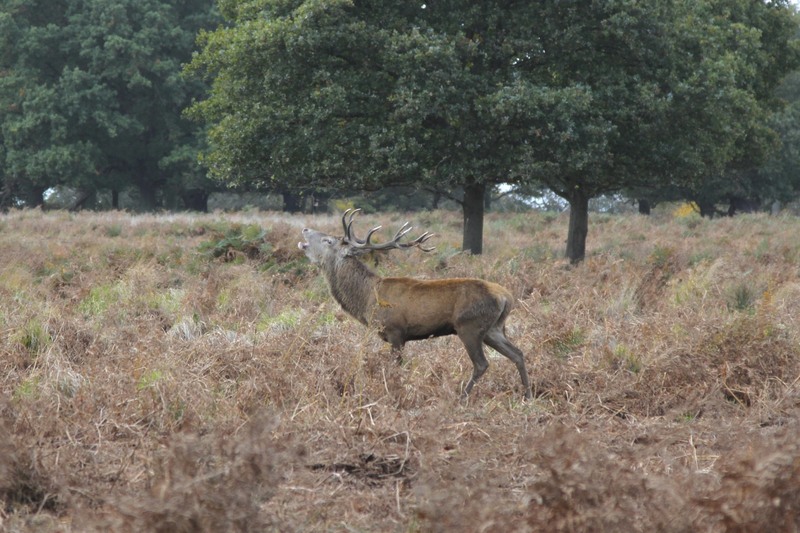 What makes Richmond Park special though isn’t its size, but the sense of isolation you can find when you wander into the interior. On a mid-week day its possible to find yourself alone in a city of seven million people. Although the park sits in the middle of an urban area with a sizeable human population, it is entirely enclosed by a wall – with numerous entry and exit points – and has changed little over the centuries. Consequently, there are ancient mature trees in the park. 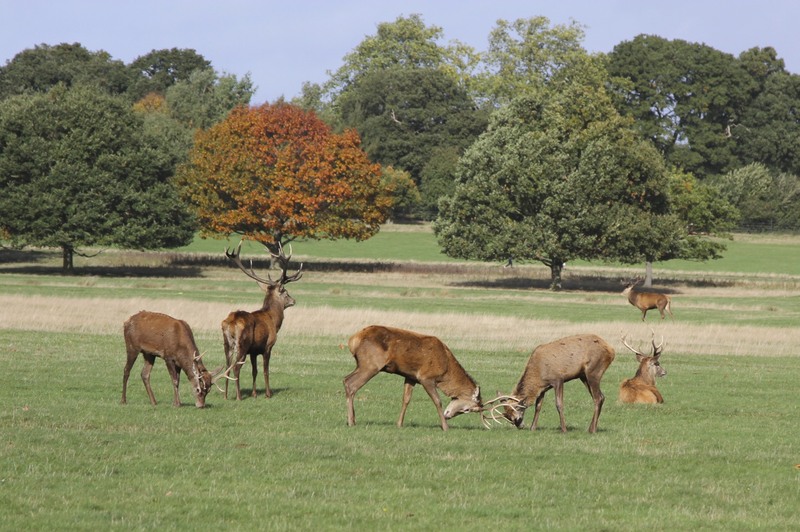 It was Charles I who introduced one of the main features of the park, a large number of Fallow and Red Deer. 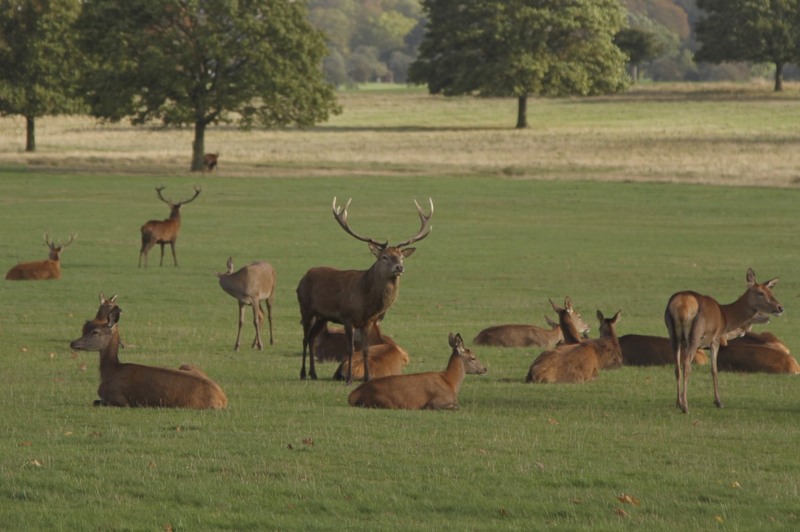 Charles created a deer park for royal hunting, originally called New Park to differentiate it from an existing park, now called Old Deer Park. Although the public had traditionally had access to the park, this ended in 1751, when Princess Amelia closed it to all but a small number of her friends. This caused a public outcry and, after a legal battle, the park reopened to the public in 1758. Public access was eventually guaranteed by an Act of Parliament in 1872. 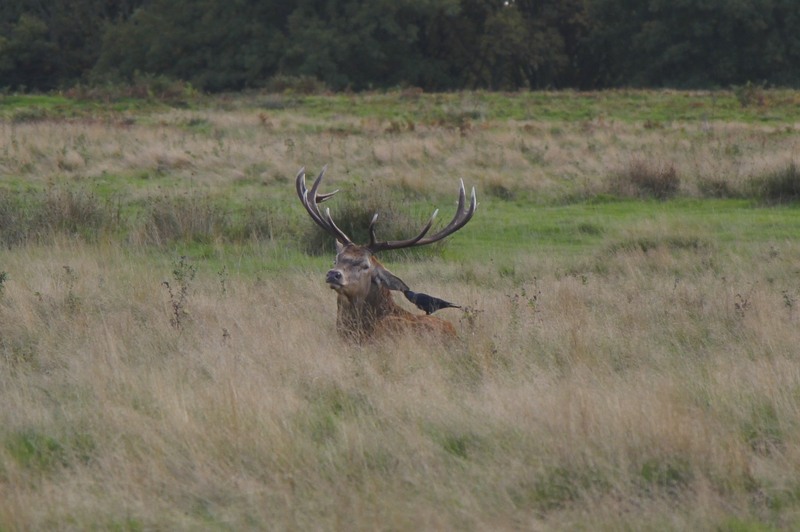 In the Autumn, the male deer compete for females during the annual rutting season. 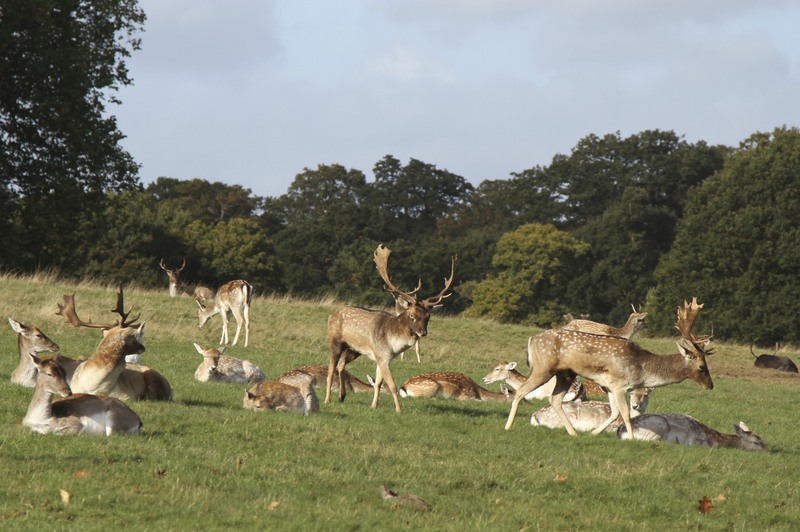 The deer are wild, but normally aren’t a danger to humans, or their pets; however, in the rutting season they have been known to attack people and dogs. 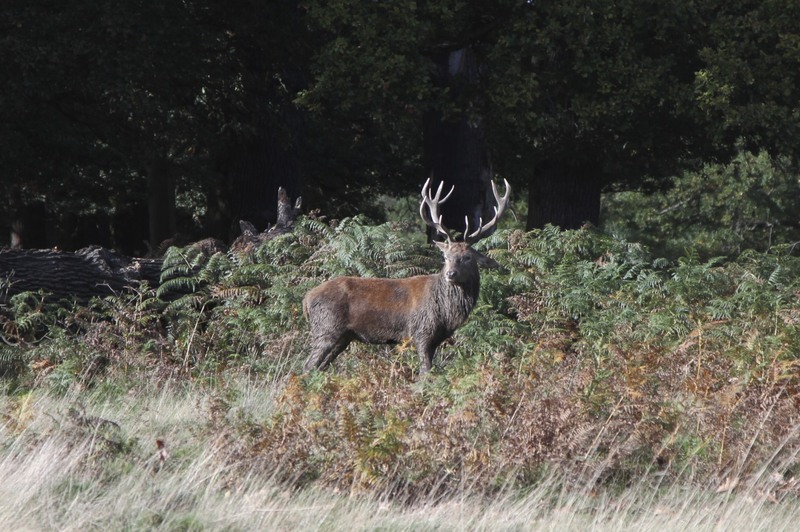 The Red Deer, in particular, are huge and have enormous antlers: it would be inadvisable to get too close. Its quite extraordinary to witness a natural phenomenon in such close proximity to a major urban area, and while passenger planes fly overhead. When I was there, there were a lot of deer in evidence – given that they roam all over the park, a sighting isn’t always guaranteed. Watching the males charging around, all sound and fury, trying to herd more females into their harem, or trying to stop other males from stealing females, was hugely entertaining. On the outskirts of the groups of deer were lone males, too young to compete or already defeated in battle, but unwilling to go too far from the group just in case they got lucky! 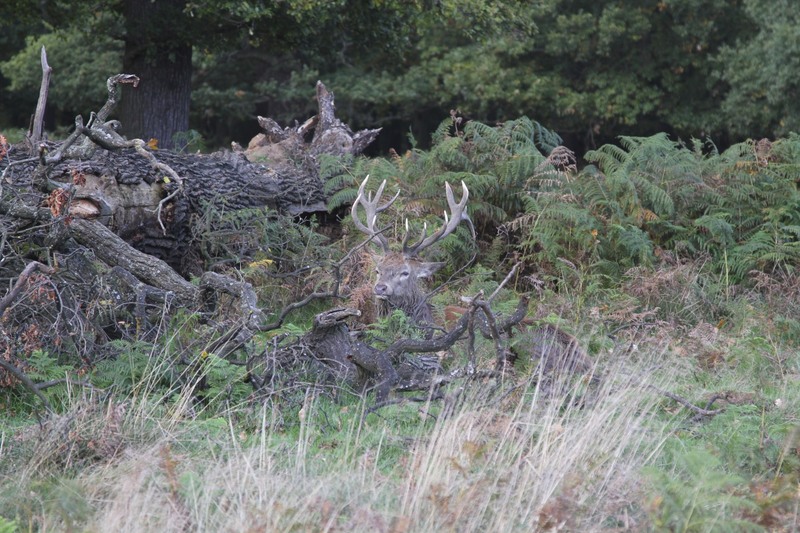 I walked around for several hours, coming across groups of the smaller Fallow Deer and the much larger Red Deer. 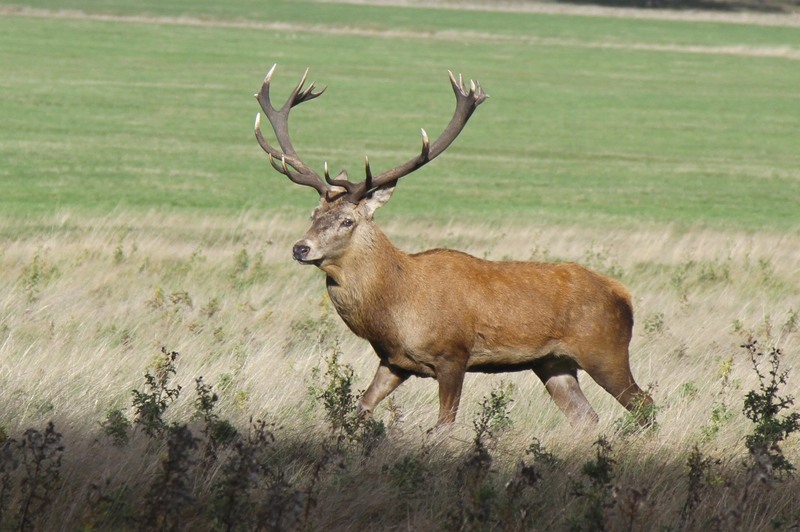 The Red Deer may be more dramatic because of their size and their magnificent antlers, but the Fallow Deer give them a run for their money in the energy stakes. 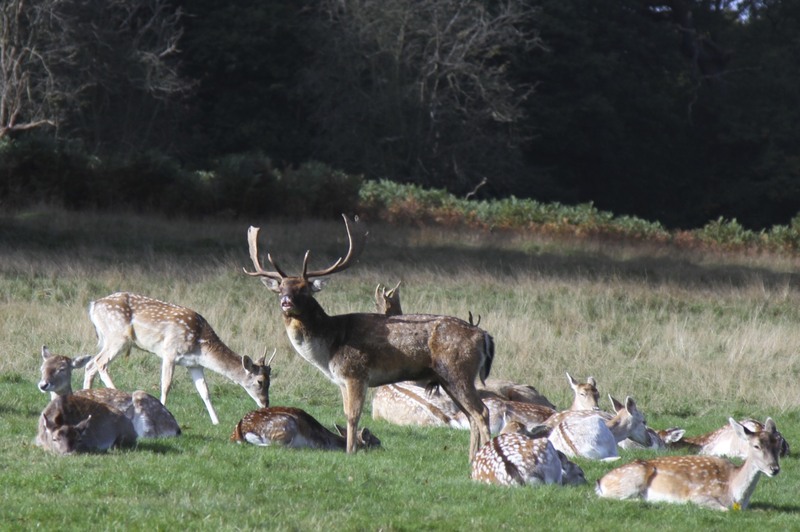 The male Fallow Deer rarely seemed to stay still for more than a few seconds, before spotting a challenger, real or imagined, to chase after. 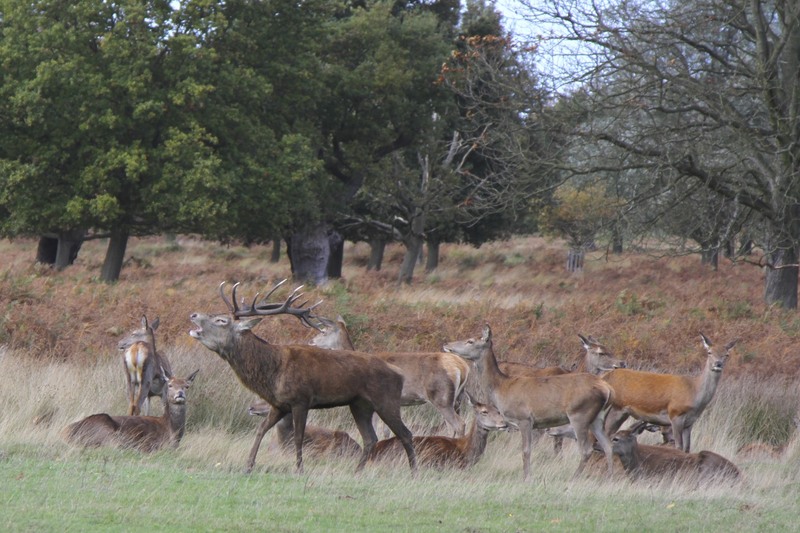 Some of the deer were out in the open and attracted quite a few people, others were in high bracken and quite alone. 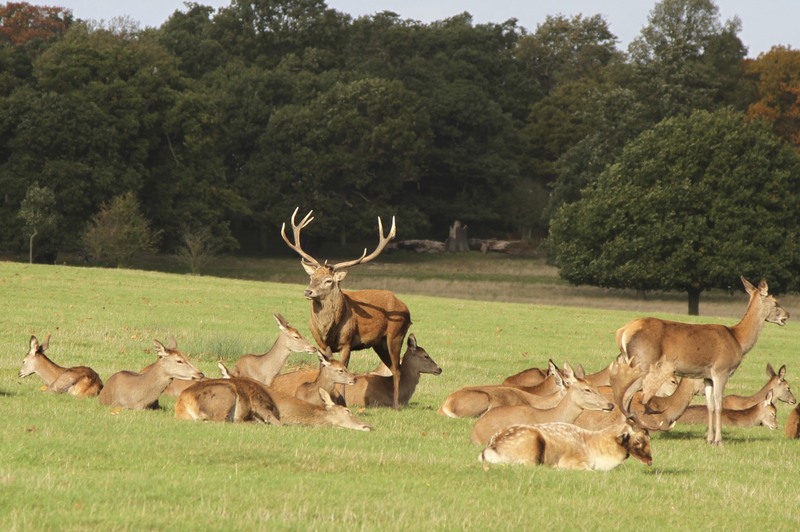 As befits a Site of Special Scientific Interest and a National Nature Reserve, the park is rich in flora and fauna. Over 1000 species of beetle have been recorded in the park, including the endangered Stag Beetle and Cardinal Click Beetle. Several types of bat live here, as well as foxes, rabbits, voles, shrews and mice. 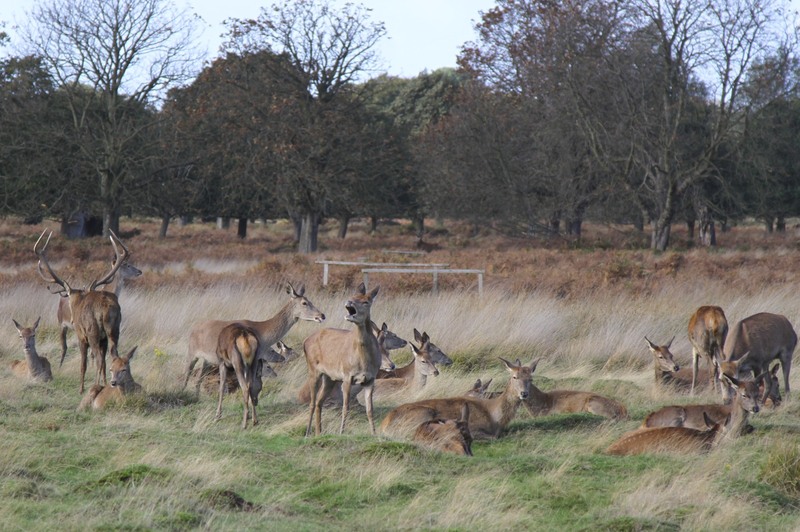 Thanks to the grazing of the deer, the park has a special habitat, with a high level of flora diversity. 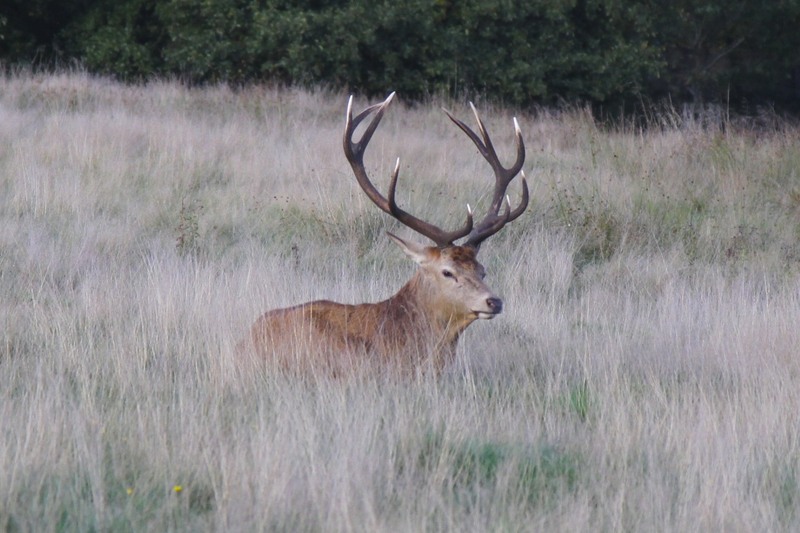 It is the largest area of Lowland Acid Grassland in the London area. 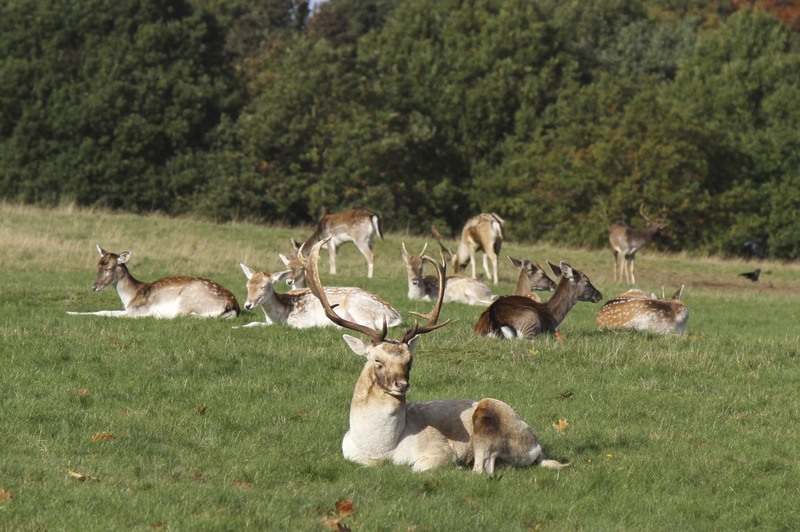 In a city as big as this, its sometimes difficult to feel any connection to nature, but deer rutting season is one of the great natural events to take place in London. It is only really rivalled by the birthing period from May to July. Hopefully I’ll be able to go back and record that as well.